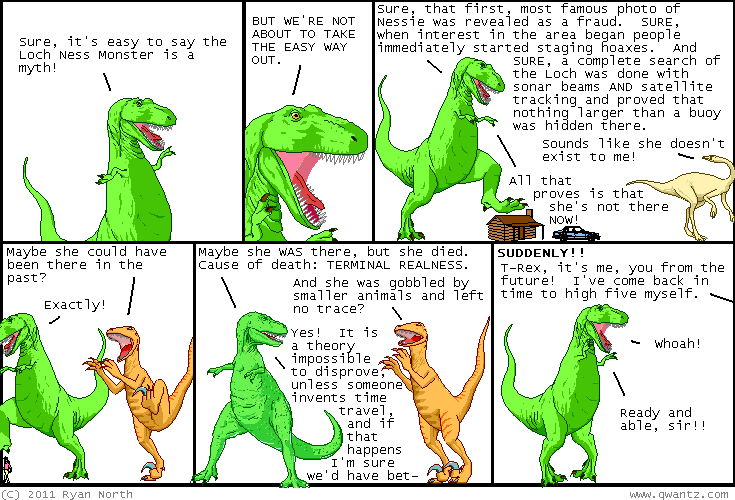 Dinosaur Comics - October 3rd, 2011 - awesome fun times! October 3rd, 2011: Sometimes you want to leave your friends a note, but you know they'll take it way more seriously if it comes from the mouth of T-Rex! Sometimes instead of writing a note to your friends, you're writing it to yourself, but with the exact same expectation of T-Rex authority! And SOMETIMES, you want to stick these notes on things using a technology invented by Art Fry!